We thought we would share the top 10 smallest dog breeds, our other furry, four-legged BEST friends, the Canis familiaris. 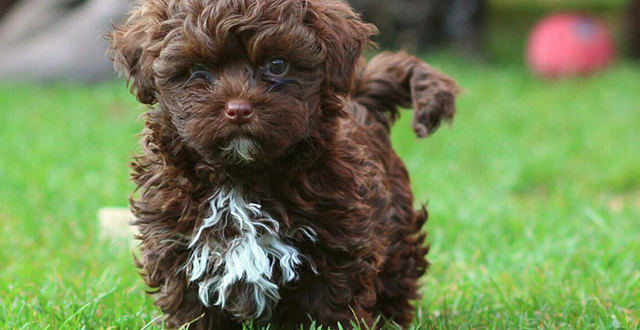 From Pugs to Poodles we’re counting down the top ten smallest dog breeds! For this list, we aren’t looking at the smallest dog on record, but rather the small dog breed overall. We start off the list with a dog that may be so cute, it’s ugly, or so ugly it’s cute. 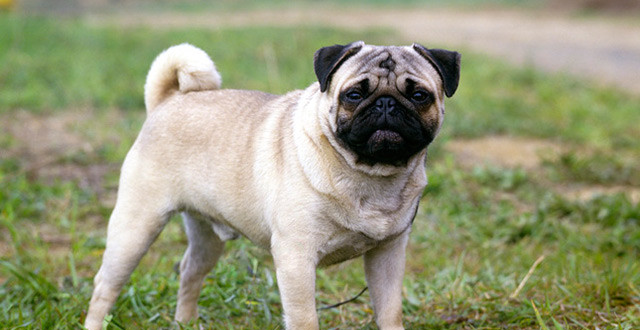 The pug, hailing from China, is described often times as “Multum in parvo“, or “much in little”. Typically this breed grows to heights of 10 to 12 inches or 25 to 30 centimeters, and usually weigh between 14 to 20 pounds or 6 to 9 kilograms. The pug has a short, compact and barrel chested body, with a round head and a flat, dark, snout. Said to be strong willed and rarely aggressive, this breed is suitable for all household environments, as the breed is typically fond of having children around. It appears that China may like smaller dogs, as the Pekingese is yet another small breed that originates from there. 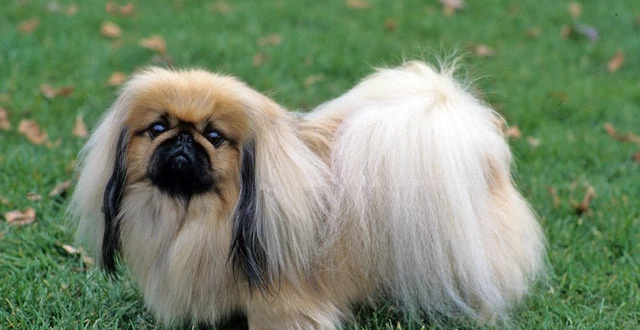 The Pekingese is said to be very intelligent and possess a “self-important” attitude, presumably due to the breeds tenure as imperial favorites. The Pekingese has a small, stocky, and more muscular body than that of most the other dogs on this list. The head is large in proportion in comparison to its body, with a flat face and muzzle. This little ball of fur grows between 6 and 9 inches or 15 to 23 centimeters in height, weighing between 7 and 14 pounds or 3 to 6 kilograms and is another dog with a lot of personality in a tiny frame. The Russian bred Bolonki are cheerful, playful, and sturdy dogs, with a happy and loving disposition. Like all small dogs, they were bred to be companion dogs, growing to heights of roughly 7 to 10 inches or 17 to 25 centimeters, with an average weight between 4 and 11 pounds or 2 to 5 kilograms. The Bolonka sports a dense, thick, yet soft coat, that forms in large curls or waves that usually require maintenance around the eyes. Breed coats range in color from solid black, brown and white, and many different combinations of all 3 colors. 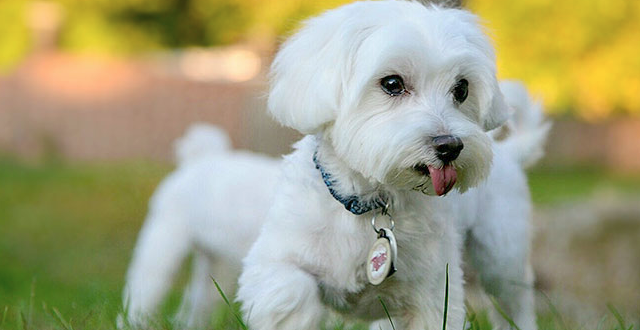 The Maltese is easily considered, among dog enthusiasts, to be the gentlest of the toy dog breeds. 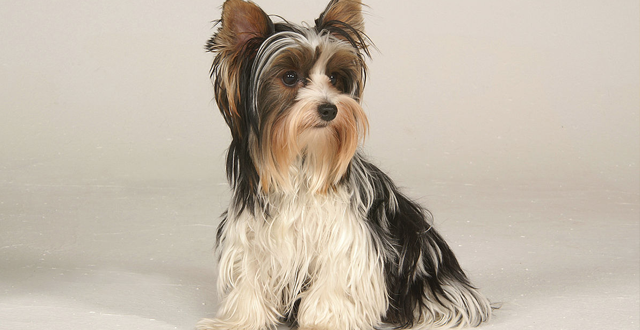 Having a single layer coat, the Maltese’s fur hangs straight down from its small frame. The Maltese grows to an average height of 8 to 10 inches or 20 to 25 centimeters and weighs around 7 to 9 pounds or 3 to 4 kilograms. Bred as a companion dog from the Mediterranean Basin area, it has gained considerable popularity around the world. Though like most small dogs, they are notorious for severe separation anxiety when they are left alone. Terrier First bred in England, the Biewer Terrier appears to be elegant, but also arrogant. This Terrier has long, straight, and silky hair, usually brown, white and black in color, and sports a very fancy beard, if I do say so myself. Barely reaching 7 to 9 inches or 18 to 23 centimeters in height, and weighing in around 4 to 8 pounds or 2 to 4 kilograms, the personality of the Biewer is said to be lighthearted and whimsical, possessing a childlike demeanor, but are overall very obedient dogs, making for very loyal companions that are very much child friendly. This breed craves adventure and is a highly energetic and clever dog, requiring the room to roam and run around freely. The German born Pomeranian is best described as being a loving, explosion of fluff, wrapped in a shell of ego and demand. This breed of dog weighs between 4 and 8 pounds or 2 to 4 kilograms and grows to around 6 to 8 inches or 15 to 20 centimeters in height. They come in a variety of colors and patterns, ranging from white, black, and a very rare purple, and are famous for their curly tails. 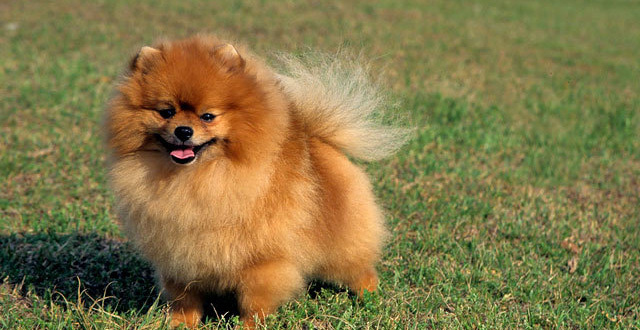 The thick top coat of the Pomeranian forms a mane-like ruff around their neck, which they are commonly well known for. Friendly towards people and other animals, the Pomeranian makes for a wonderful pet for the family. 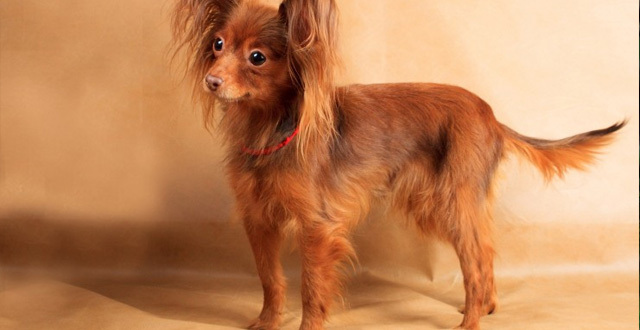 The Pražský Krysařík, otherwise known as a “Prague Ratter“, hails from the Czech Republic and is an energetic, friendly, and a very playful small dog; reaching 8 to 9 inches or 20 to 23 centimeters in height, and weighing between 2 and 6 pounds or 1 to 3 kilograms. A true pack dog, they often attach themselves to every member of the family; which results in separation anxiety when they are left alone. 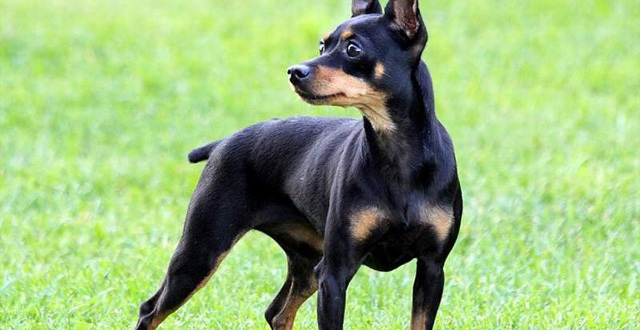 The small and delicate frame of this dog breed is emphasized through its thin, glossy coat consisting of mostly black and tan fur. Proper care for this dog breed is important, as they are prone to “Small Dog Syndrome”, a personality disorder in which the dog believes they are the pack leader over their human owners. 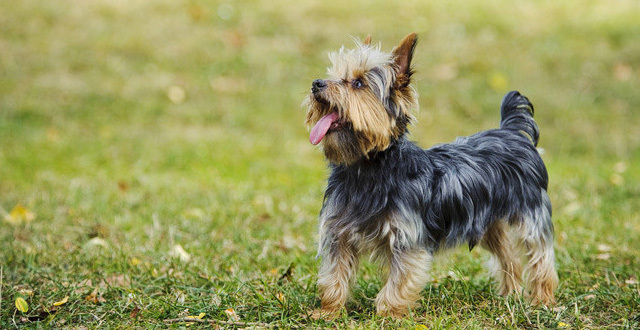 The Yorkshire Terrier breed, often times called a Yorkie for short, is both vigorous and energetic, and your typical delicate toy dog breed. This little dog is a lover of comfortability, and enjoys very much being a lap dog; which isn’t much of a problem, considering they average about 4 to 7 pounds or 2 to 3 kilograms, and only standing at about 5 to 7 inches or 13 to 18 centimeters tall. Their coat is glossy, silky and fine textured, with multiple different color combinations; though very particular in patterns and location of color. Yet another small English bred dog, the Yorkie was developed for the working class, used for catching rats and mice that infested the work places and homes. The dog that most people probably thought would be the number one pick, the Chihuahua, is the oldest breed of dog from the American continent, originates from Mexico, and is now currently one of the most popular kind of dog in urban areas, due to its small size which makes it perfect for apartment living. They are very small dogs, weighing in approximately 3 to 7 pounds or 1 to 3 kilograms and only reaching heights of 6 to 9 inches or 15 to 23 centimeters. 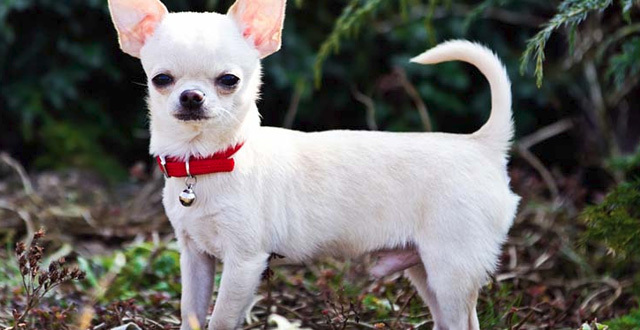 Proud and courageous, the Chihuahua makes for an excellent companion dogs as they are fiercely loyal, and grow to be very attached to their owners. Toy In soviet Russia, dog owns you! Well, maybe not; but the smallest dog on our list, the Russkiy Toy, is a breed from, you guessed it, Russia. Predominantly calm, intelligent, trusting and loving, the Russkiy as per the usual for small breed dogs, suffer from Small Dog Syndrome if not trained and brought up properly. The smallest of small dogs, the breed grows to be about 8 to 10 inches or 20 to 26 centimeters in height, and usually weighs just shy of what a gallon of milk does, 3 to 6 pounds or 1 to 3 kilograms. The breed can come as both long, and short haired dogs, have smaller heads, slender bodies, and long legs which they make the 10 smallest dog breeds. Said to be incredible companion dogs, they are suitable for households of any and all kinds..